Looking for a reputable building firm? Looking for builders in London? At LPC Maintenance Ltd we offer a range of building services from plumbing, heating, electrical work, handyman jobs and general building work including painting, decorating and roofing, whatever you need, our builders have got it covered. 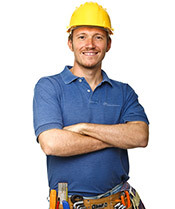 If you’re looking for a reliable, well respected construction & maintenance company in London then look no further than LPC Maintenance, we have a dedicated team of builders and handymen across London who are capable of handling any job no matter how large or how small so whether you’re looking to knock down a wall and extend a bedroom, retile your roof or refit your windows, don’t hesitate and get in touch today to discuss your requirements with one of the team. We ensure that all building work that is carried out on residential or commercial residence, is done so to the highest quality, whilst still keeping our price as low as possible. We also guarantee that our builders are trained and qualified to the highest standards of the leading professional trading bodies. We offer a fantastic team of fully qualified builders and tradesmen who all possess many years of experience. It is ensured that your building work is carried out in safe hands as we pride ourselves on our reliability. We aim to communicate the work we are carrying out as clearly and as concisely as possible in order to allow you to understand exactly what work we are undertaking. If you require any kind of building work and wish to take advantage of our local and reliable services please call us now on 0208 452 7397 and we would be happy to help you. We are based in Cricklewood and offer our wide range of services to London and surrounding areas.